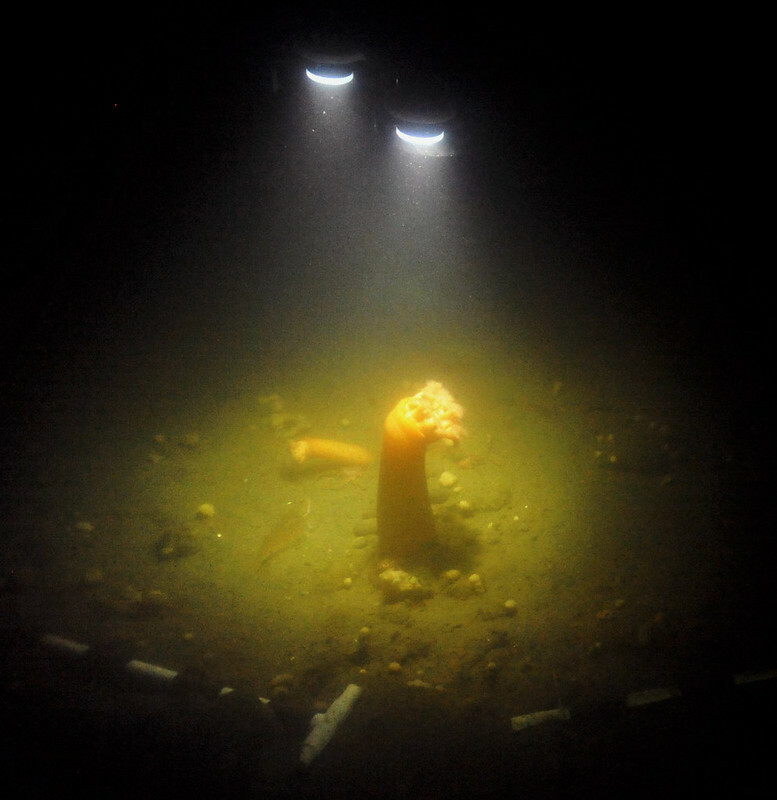 A Remotely Operated Vehicle (ROV) has just re-deployed a seafloor camera to Saanich Inlet following maintenance. To continue the year-long observations of animal behaviour, the camera must be positioned exactly. While the ROV pilots align the camera with the scales on the seafloor, an observer on shore is examining the positioning and sending final instructions on alignment.